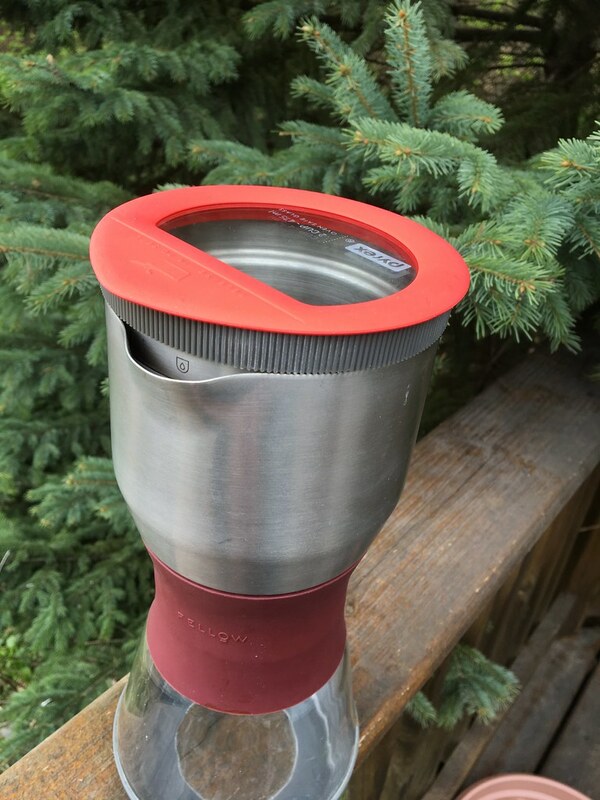 Back in January of 2014, I backed a kickstarter for a coffee brewer called the Duo Coffee steeper, and I love the darned thing with a passion. It's my favorite coffee brewing method of all time, and I've used it nearly every day since July of 2015 when I received it. The one (and only) thing I'm less than enthused about is the lid. It works fine. 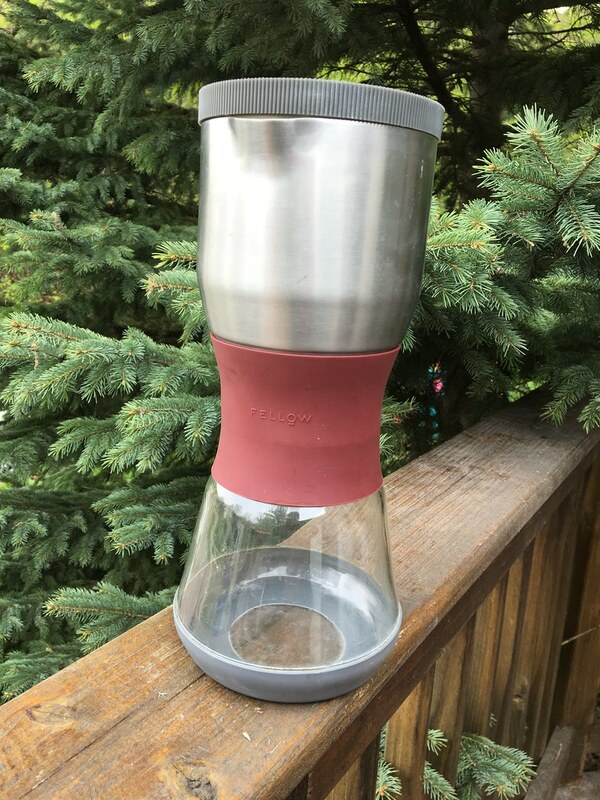 It's functional, looks good ... but it's made of plastic, something I avoid using with hot liquids. For coffee brewing, I really just want stainless steel, glass, ceramic, and if necessary, silicone. You know, ingredients that have stood the test of time, and are safe. Inert. The problem with plastic, is that every few years, we hear about yet another nasty chemical being released into our foods. Besides, I think things often taste funny in plastic. 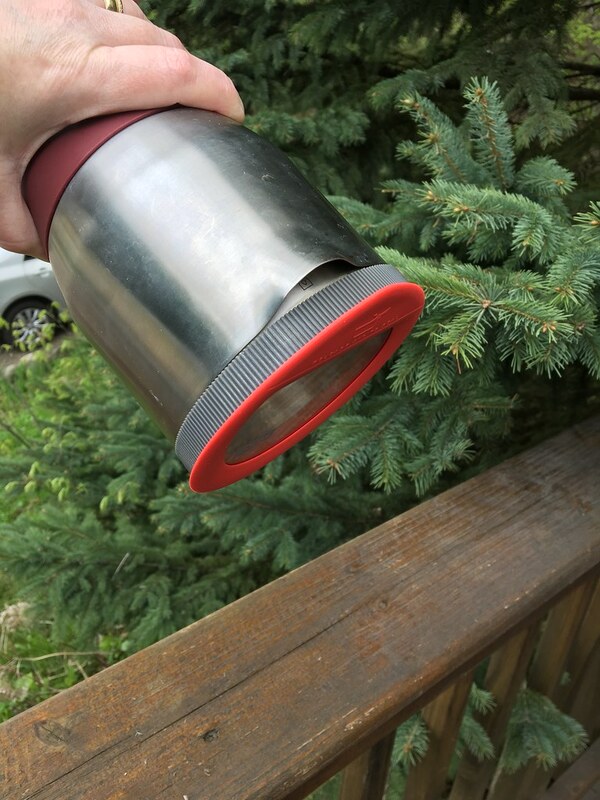 The lid of the Duo is the only piece of plastic that touches coffee in the whole thing. If you make the full amount of 24 ounces, coffee touches the underside of the lid. And regardless of the amount, condensation collects on it, and drips back down. Now, the lid is made of one of the better plastics, food-safe, BPA-, and phthalate-free, and all that. But, it's still plastic. I started playing with ideas almost immediately - lining the lid with a sheet of stainless-steel foil, but I never did figure out how to adhere it. Besides, I don't really want glues near my food, either. 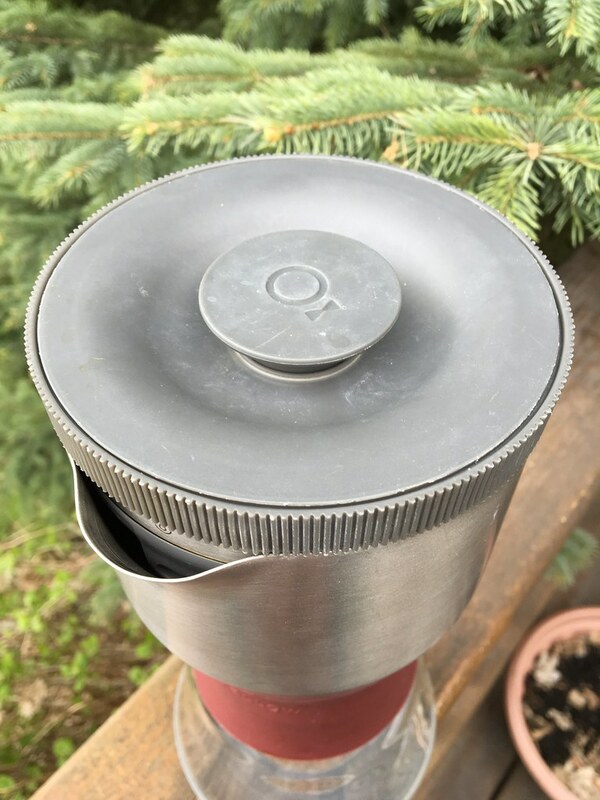 This weekend, I was planning to take my inner brew chamber/lid to the nearest Goodwill or even Bed Bath and Beyond to see if I could find a lid small enough to fit, even if it was intended for a different use Then I started looking around at home to see what small lids I already had. The lid of the asparagus steamer? Nope. Too big. Then it hit me - the red silicone-and-glass lids of our Pyrex storage bowls (smallest, two-cup size) might be about right, and I have an extra one (after I broke a bowl). Bingo!! And because of the silicone seals, it actually stays on just as well as the original lid. The only thing I might need to worry about is that the lid will actually seal, and as water condenses on the inside, it will cause a bit of a vacuum, so I may need to drill a tiny hole through the silicone to allow pressure to equalize.